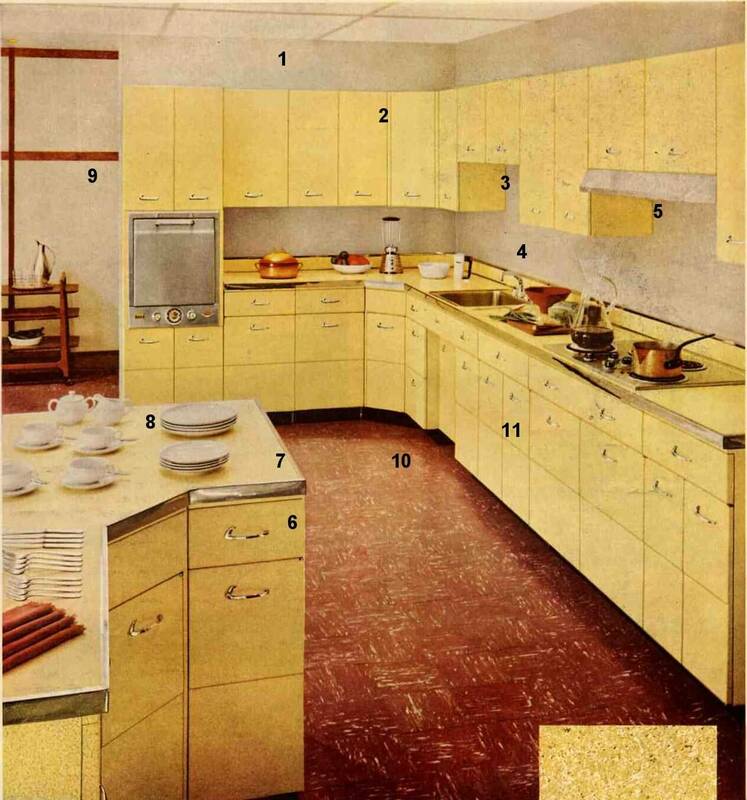 Home » Vintage catalogs » 1950s » Will Santa bring you a new, retro kitchen this year? 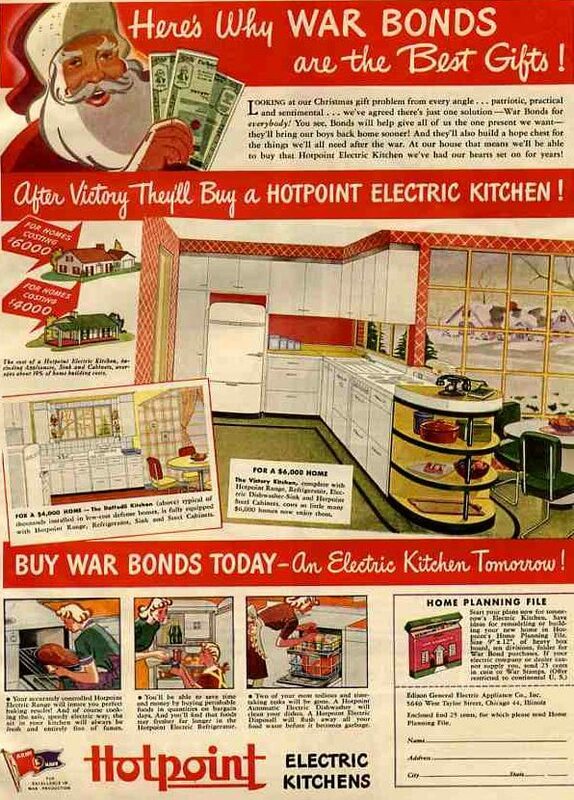 During World War II, Americans were encouraged to buy war bonds to fund the war effort. 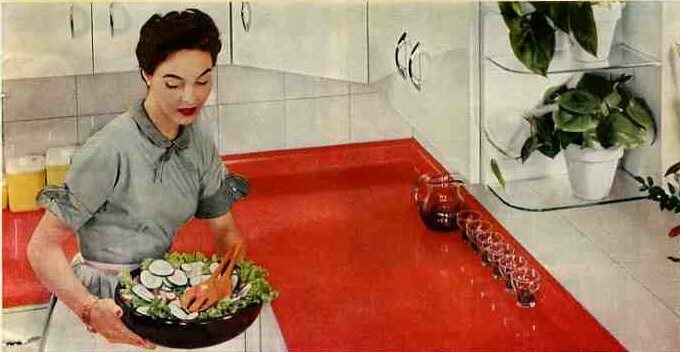 At the same time, amid the deprivation of war time restrictions, the country was dreaming of better times to come. 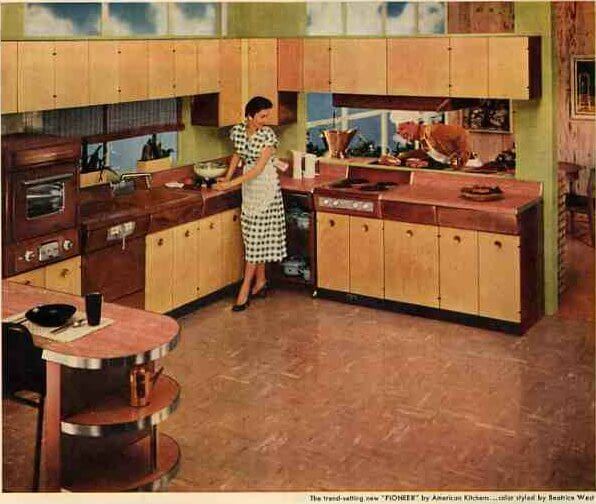 And at that front of that list: A shiny new kitchen! Happy holidays, everyone. I dropped out of the blogosphere for a day and a half, as my family flew down to Florida for a sunny break. I expect to keep posting daily, but no ebay until after the holidays. Please continue to send your emails and comments! I have watched “Mr. Blandings Builds His Dream Home” too many times to count! I know the lines by heart! 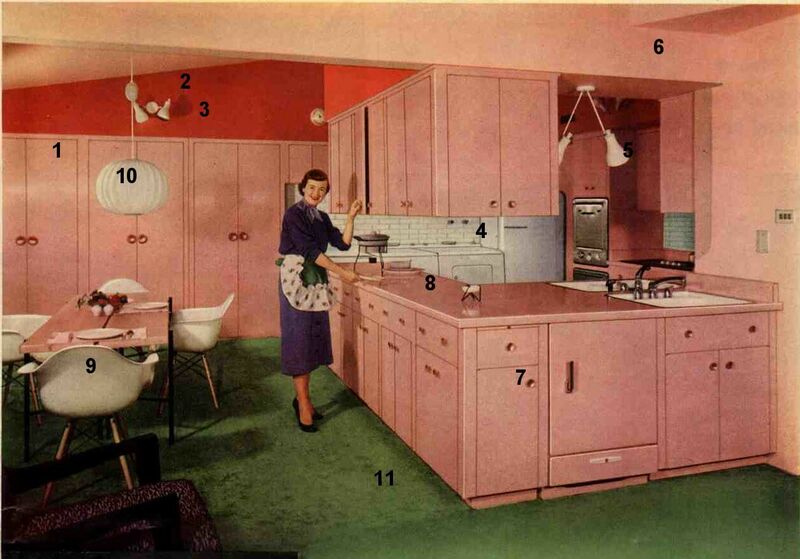 The best part though are the sets! Even the apartment they live in is great and of course his dream house would be mine too!! Oh, and at the price they paid is awesome!! I get inspired every time I watch this. Oh, and I love the architects office as well. . . .Merry Christmas and Happy New Year everyone!